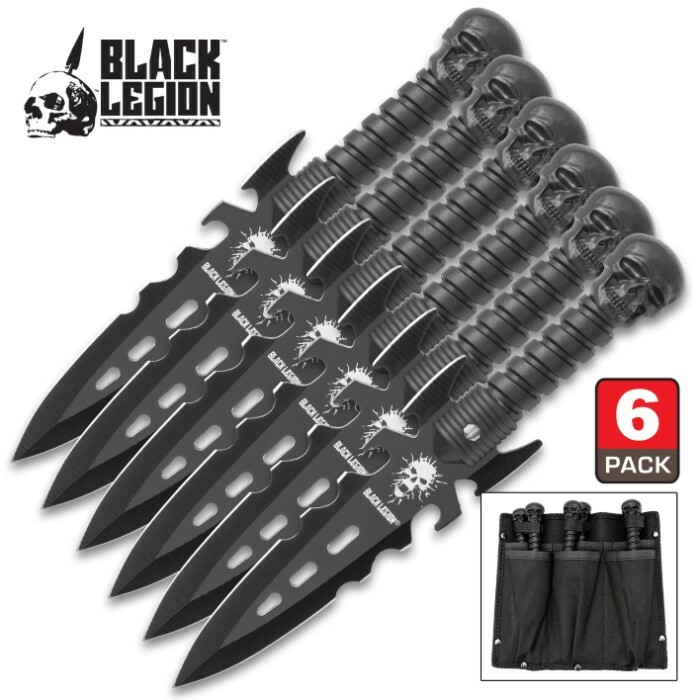 Black Legion Undead Reaper Six-Piece Throwing Knife Set With Sheath | BUDK.com - Knives & Swords At The Lowest Prices! 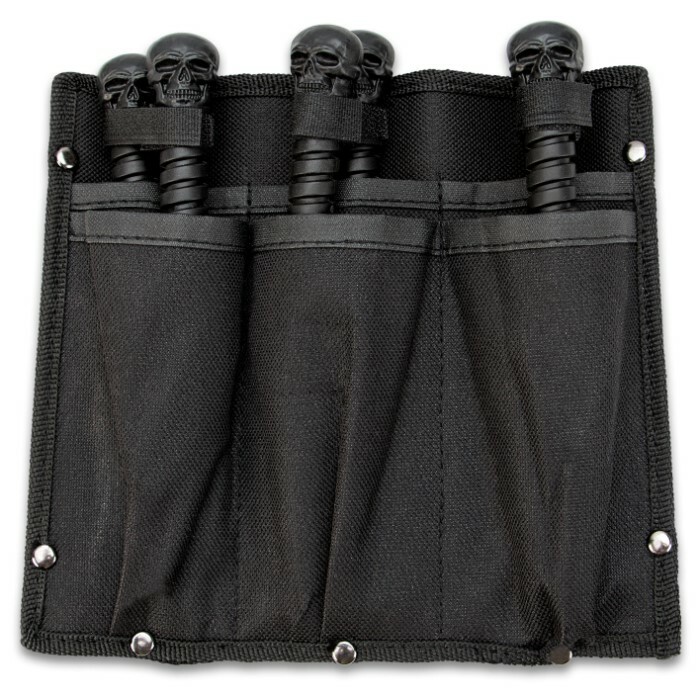 Black Legion delivers once again with this six-piece Undead Reaper throwing knife set! Enjoy six double-edged spear point throwing knives with fantasy-style serrations and an anodized black finish. The piercing tips ensure deep target penetration, and the rubberized handles provide a firm grip for improved accuracy. 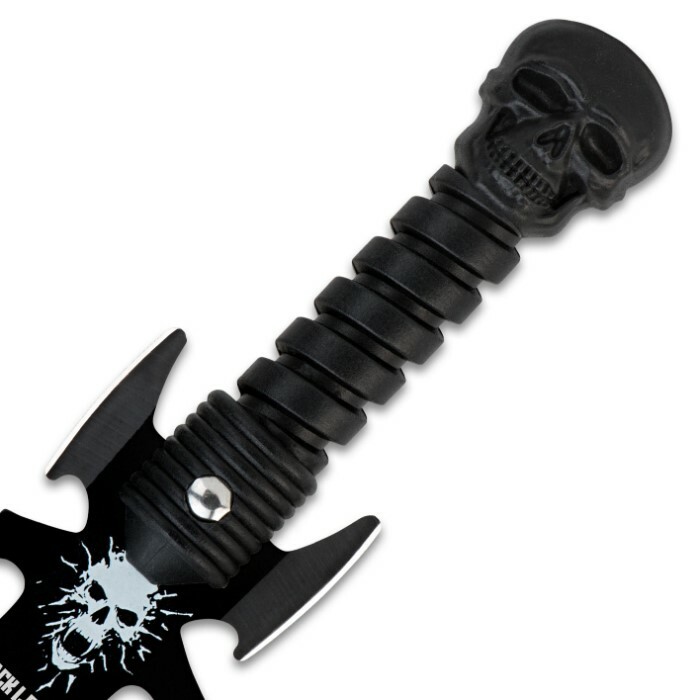 Each one features a skull-shaped pommel. A nylon pouch is included to house the entire set. You can strap it to your arm or leg for added convenience.